There are some jobs that are worth going further for more than others, because they lead to the kind of future that’s worth looking forward to. Walk through our door and you’ll find a whole world of opportunity awaits. 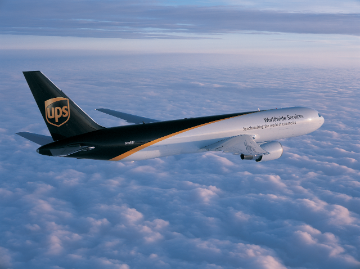 We are UPS, the world's largest package delivery company. We’re looking for smart sales people in the making! Come to us with personality and passion, enthusiasm and energy, and we’ll convert these into the polished professionalism that’s the driving force behind our business. We’ll do more than show you the ropes. We’ll invest in you through a unique 2-months training program that will equip you with the skills and knowhow you need to go as far as your potential will take you. It all kicks off with a first job in the Inside Sales Team based in our Diegem office. This will give you the lowdown on our operations and starts the process of turning you into one of our sales stars. You will get to know all different departments within UPS and will get the chance to visit your customers. As well as sales techniques, our experienced trainers will teach you about account management, how to negotiate, presentation skills and much, much more besides. And when you are fully up and running, you’ll be primed and ready to enroll into our Sales Academy where you will have a coach to prepare you for your next role as account manager, complete with your own territory, car, phone and laptop. If you’re resilient and raring to go – have graduated with a business-related degree – we can help you make the most of your talent. What’s more, we’ll reward you with a competitive salary and benefits package.